Can You Enjoy High Definition Video on Linux? When Blu-ray first arrived, few computer hardware manufacturers seemed prepared to take a gamble on it until it had won the format wars. While its lifespan looks increasingly limited in the face of greater Internet bandwidth and the portability of flash storage options, Blu-ray remains a popular option for owning and watching films. However the enjoyment of Blu-ray discs doesn’t have to be limited to Windows or Mac computers – if you have a Blu-ray player on your Linux operating system then in theory you can view Blu-ray allowing you to enjoy HD video on your Linux box. 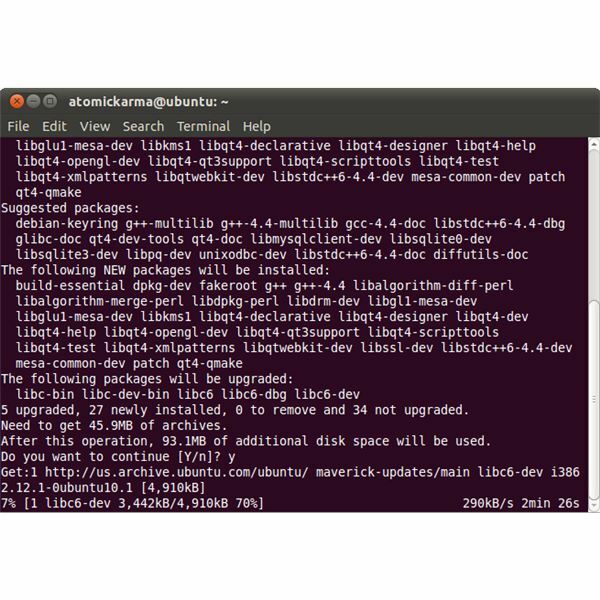 Linux is an open source operating system with a lot of open source applications and utilities included. Some are part of the GUI of whichever distro you are using, while others need to be run from within the Terminal. Additionally, the various Linux distros are at the heart of the open source community, one that also features web server software, website and web forum management as well as various corporate file servers and office applications. The point is, Linux is there for everyone to use when they want to and in many cases how they want to, with few (if any) restrictions. Sony, meanwhile, designed Blu-ray as a high definition optical storage format with very strict Digital Rights Management (DRM), which pretty much controls how you watch a Blu-ray disc and use the additional content within. In other words, Blu-ray is the antithesis of the open source movement. Using the Ubuntu distro, let’s take a look at how a Blu-ray player can be used to enjoy movies in high definition. This is done using the MakeMKV media player for Linux, which features a Blu-ray DRM decryption key. You will also need VLC installed. This will ensure that you have the correct libraries and tools installed. This will then allow you to run MakeMKV by entering makemkv (you will find it in /usr/bin/makemkv). Go to File > Open Disc and select your Blu-ray drive. The application will scan the disc for titles and list the contents. Go to File > Stream and MakeMKV will begin to stream the contents of the disc – look for the dialogue “Operation sucessfully completed. Streaming server started” which will also display the default address for viewing the stream. You should have VLC player installed in Ubuntu already – if not, open System > Administration > Synaptic Package Manager, search for VLC, check the box next to the vlc option in the search results and select Mark for Installation, then Apply. All you need to do next is click Play to begin enjoying your Blu-ray disc! Note that if your Blu-ray disc will not playback using this method, then you will be unable to view it on your Linux box.